'I AM THAT' is the greatest book, or should I say scripture, to have ever come by in the history of mankind.In the first reading you are bound to load it with underlinings. When you re-read it please buy a new copy to avoid your attention going to the old underlinings and you will discover many many things you definately miss out in the first reading. It is the only book that I have re-bought for a second reading. 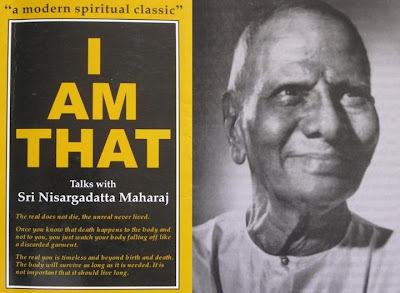 I am grateful for this post as it assures me that the wisdom Maharaj expressed in I Am That did not evolve with time to become in any way superseded by his much later recorded talks. I love I Am That. It is such a clear and accessible guide; truly as you say, the greatest scripture of mankind. Meditation on the "I AM"